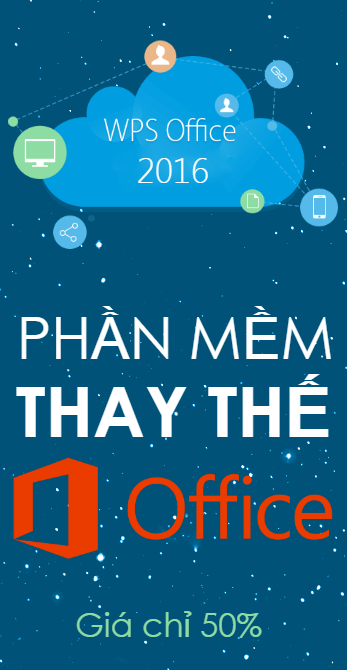 REACH Technologies, công ty hàng đầu về Giải pháp công nghệ kinh doanh cho ngành hàng mềm toàn cầu, cung cấp các sản phẩm đóng gói sẵn, giải pháp tùy chỉnh, Gia công quy trình kinh doanh (BPO), dịch vụ tư vấn và các cơ sở phát triển ra nước ngoài. Các giải pháp REACH cho phép các bên liên quan trong chuỗi giá trị hàng hóa mềm hợp tác hiệu quả và hiệu quả hơn. Các giải pháp REACH tác động đến hệ thống của các công ty, tổ chức nghiên cứu và học thuật bao gồm Calvin Klein, DIESEL, GAP, Levi's, Marks & Spencer, NIKE, Tedom, United Colors of Benetton, Tommy Hilfiger, Wal Mart, Zodiac Quần áo, Madura Garments Arvind Quần áo, Gokaldas, Hội nghị Liên hợp quốc về Thương mại và Phát triển, Hiệp hội các nhà sản xuất quần áo Ấn Độ, Viện đào tạo nghề khu vực, Hội đồng xúc tiến xuất khẩu hàng may mặc, v.v. Carrying out Pattern Engineering, Grading and Marker Planning manually is a notoriously inefficient and cumbersome process. REACH CAD effects significant time and labor savings by automating this process. REACH CAD streamlines and improves efficiency of the product development team. This is done by safeguarding you against people turnover, eliminating manual errors, building a knowledge base that can be used to create and re-create patterns and markers and by enabling collaborative team working. Manual patterns can and do get worn-out, torn etc. and cannot be re-used to create slightly different styles. REACH CAD uses apparel specific intuitive and user-friendly tools to engineer patterns, grade the base pattern to various other sizes and to tightly pack these patterns to form the most efficient markers. Figuring out optimal layout of patterns to form tight markers needs the application of spatial visualization skills: this is best done on a computer monitor and not by going back and forth on a table. • Tight and efficient markers. • Enables Base Pattern design using the PDS module. • Enables grading the Base Patterns into Patterns of various other sizes using the Grading Module. • Enables 'marker planning' using the Marker Module. • Translates Pattern Engineering skills into Organizational Knowledge. • Enables reuse and modification of existing patterns. • Enables Grading by applying mathematical rules. Takes only a few minutes. • Eliminates / minimizes errors by enabling collaboration between various relevant workgroups. A multipurpose software for design, sales, sampling and printing departments. REACH Fashion Studio is multipurpose software for design, sales, sampling and printing departments. Packed with features REACH Fashion Studio enables 3D product visualization, texture mapping, color reduction and cleaning, design and repeat, colorways, color communication using REACH and Spec. Creation. 3D Product Visualization : Create designs in an entirely digital environment, thereby shortening the design cycle. This feature enables photo-realistic 3D rendering of designs, colors, surfaces, textures and patterns. Texture Mapping : Preliminary ideas can be directly scanned on to the software and then manipulated all within the application. Utilizing simple and intuitive tools, Texture Mapping offers the opportunity to preview designs, on a model or in real life. More so, the materials and fabrics used in the design will act exactly as they would if they were real. Color Reduction : Starting with either a scanned picture, fabric, or an imported picture file format, you can precisely reduce millions of pixels down to just the color you specify. REACH Fashion Studio features an advanced color separation function which helps the designer quickly judge the color separation. Colorways: Easily create your season's palettes and then simply drag and drop into place. You can drag colors from multiple palettes to the design, drag between designs, the possibilities are endless! You can also automatically make as many colorways on the screen as you like, making it easy to compare and reserve for later use. Color Communication: With a single click it is possible to find the nearest REACH shade of any color scanned, or imported. Colors can be personalized using RGB, CMYK and Hue , Lighting and Saturation by mixing or entering the values. Design & Repeat: This textile and surface designing tool can create all types of repeats. This includes converting design into horizontal or vertical repeats and many more. Any changes take place immediately over multiple repeats. Fabric Design : Fabric design creativity can be quickly translated into reality. It allows the designer to scan, import or create any kind of fabric from dobby, knit or leather fabrics in the software itself with real texture effects. Spec. Creation: With Spec. Creation the user is able to ensure product information integrity. Specifications can be detailed in order to achieve the best possible manufacturing sample early on. Blocks of technical drawings can be stored and later re-combined to make new designs. • Increased creativity and productivity. • The design cycle time is dramatically reduced. • Designers are able to manage style effectively, in turn minimizing communication and production problems. • Recognizing the realistic, on-screen representation of color within a design is vital to the design process, a major asset of Fashion studio is its ability to create color and generate colorways. User can create personalized RGB and CMYK color libraries. Colors, from any of these user-defined color libraries, can either be mixed individually within the design or imported from imbedded color libraries, i.e. REACH. • The designer can allocate colors from color libraries automatically throughout the entire design in a matter of seconds, and add them to the file variation library where the various color ways are stored. • Enables designers to create drafts quickly and easily - from the preliminary sketch, through necessary revisions, to the final adopted style. This can also include the creation of storyboard presentations. • Texture Mapping - Digitally represents the surface of a two-dimensional object as a three-dimensional object. The display of color, brightness and texture is encoded with three-dimensional properties, such as how transparent and reflective the object is. It can be applied to a linear sketch or a photograph. • A useful and practical tool that can be used at an internal level within the company itself, improving communication between creation, commercialization and production without using the samples prepared in the production machines. • Simulation systems provide clear advantages by optimizing the processes of creation and production. • Saving items to libraries eliminates the need to repeat the work at a later stage. • A wide range of effects are available, this includes natural wrinkle creation and create shadow at edge of surface. • The high costs incurred through the development of prototypes and preparation of catalogues are avoided. • Considerable reduction in time as the preparation of prototypes and catalogues is avoided. • Present the product to clients in a number of style combinations, all in life-like 3D view to add professionalism and highlight key attributes. • Presentation can be sent in seconds, and received anywhere around the world almost instantly. • The three-dimensional simulation system uses the simulation of the fabric in order to present it on its natural setting. A virtual catalogue can be prepared with thousands of proposals without having to invest either on fabrics or on the development of models and prototypes. • Reduce colors to those specified by the user and the number of colors to be separated to number of frames to have printed. • Color is something very important in printed fabrics. A sketch with an adequate composition may not be attractive if the colors are not adequate, and nevertheless a sketch with a defective composition may be attractive if the colors are well combined. • The proposals for color combinations are generally materialized on paper, at full size and in repetition, so that they can be evaluated (valued, criticized...) by the sales department before going on to the next step of production, thus obtaining important feedback. • REACH color cards supports over 15,000 REACH colors. Auto matching defined color with similar REACH color showing REACH color code; Search REACH color by color name. • Decision-making on design, pre-production and even pre-sampling based on 3D views is enabled. • The process of sampling is sped up or can be avoided altogether. • By detailing specifications consistent product information along with the best possible manufacturing is ensured. • By sending files electronically details can be viewed in full color with sharp text and graphics to a standard much higher than that of a fax printout. • Time and raw materials are also saved during the study of the collection or sampling. • Communication and networking between various departments is facilitated. • The fabric simulation system, which turns the computer into a virtual loom, obtains the simulation of the fabric either on the screen or on paper by means of a printer, with total realism. • Technical Design - Pattern making must be achieved with the correct technical specifications for the most accurate fit. This is normally achieved by the technical "style" drawing that conveys the look of the apparel garment along with key manufacturing parameters. • Duplication of image content is avoided.